Are you tired of hanging your laundry in the traditional way and you are thinking to get a dryer for your home? Maybe you even started looking for the top tumble dryers of 2016, but, before buying one, we recommend that you check out which are the most important features that you should take into account when choosing one of the top dryers on the market. When buying a dryer you need to decide between the top vented dryers and top condenser dryers, which is already difficult, but when considering the top heat pump dryers and many other important features, choosing the best dryer becomes very tricky. So lean back and let us guide you through the important aspects you need to know! There are many different types of dryers, so before you actually go and buy one one it is important to answer a few essential questions, like where to place it and what features you would like your dryer to have. Top load dryers are great when standing alone in small places, since they are generally more compact and narrow than front loaders, but if you are thinking to place your dryer under a work surface, or you would like to stack it on top of your washing machine, you will need a front load dryer. Stackable dryers are great when space is an issue, but make sure that the dryer can actually be stacked on top of your washing machine. When it comes to placing your dryer, it is also important to calculate five inches (12.7cm) more from behind for venting and in which way the door opens. Besides the way of loading, tumble dryers can be differentiated by their drying technology (vented drying, condense drying, heat pump technology). To dry clothes, vented dryers take air from their surroundings, heat it up and spin it with the clothes. The air then picks up the moisture and produces steam, which then leaves the home through a vent. This process is repeated several times, until the clothes are dry. In general, vented dryers are cheaper and more efficient and contrary to some condenser dryers, you don’t need to empty a water container after every use. A downside of the vented dryer is that you are limited in placing it, since it needs to stand next to an outside wall to let out the steam. Condenser dryers work with a cooled, plastic or metal condensing chamber and therefore don’t need an outside exhaust, so they can be placed anywhere in the home. While the drum spins, heated air goes through the clothes, taking up the moisture, like it does in vented dryers. The difference is that the moist air is then circulated through the cooled condensing chamber, producing condensation. The water either stays in a water container or leaves the machine by a water drainage tube. This process is repeated several times until the clothes are dry. Most of today’s compact washer-dryers are condenser dryers. Some condense dryers use the more complex heat pump technology for drying clothes, which can save up to 50% on energy as it conserves heat better and therefore cost more than normal condenser dryers. Like with the normal condenser dryers, hot air is flowing inside the drum, which then cools down by taking moisture from the clothes. The moist air is then getting sucked into the heat pump, where the moisture is separated again from the air, which is going back to the drum to repeat the process. The water is filtered out every time and leaves through the water drainage tube. The process takes longer than with condenser dryers and in temperatures lower than 5 °C (41°F) the performance of heat pump dryers begins to suffer. Tumble dryers with a heat pump technology are, for example the Panasonic NH-P80G1, LG RC9042AQ3z and the Beko PU8360. 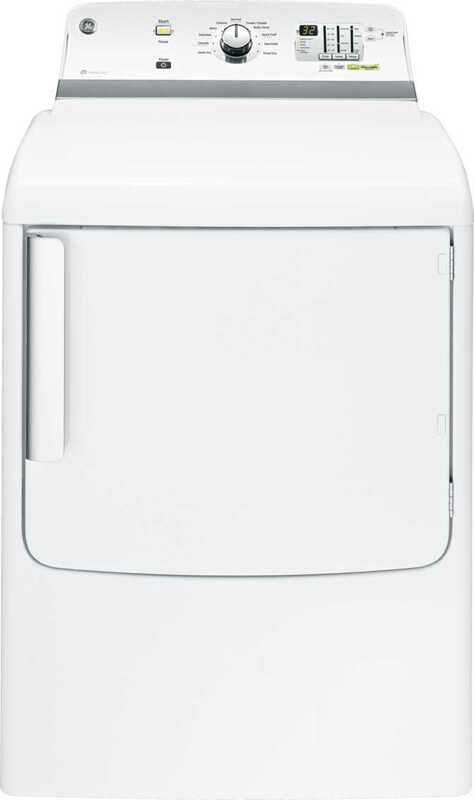 If energy efficiency is important to you and you have a separate gas connection at home, a gas dryer might be interesting. Gas dryers work in the same way as electric vented dryers, but are more economical, so you pay less to operate them. On the other hand, they are more expensive and have to be installed by professionals, which is an additional cost, while with electric dryers you simply need to plug them into a socket. The bottom line is: If you have a separate gas connection and you don’t plan on moving out soon, a gas dryer is a good choice, but if there is a chance you are moving soon the effort and cost might not be worth it. 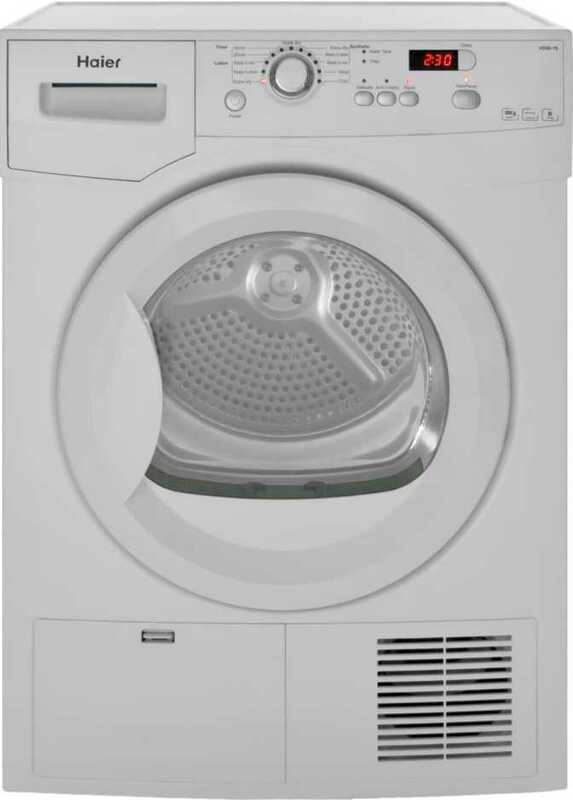 Tumble dryers, that work on gas are, for example, the GE GTDS855GDMC and the Whirlpool WGD96HEAU. One of the most important features of a dryer is the drum capacity. The drum capacity is measured in kg of dry clothes, making it easier to estimate how much of the washed clothes can fit into the dryer. 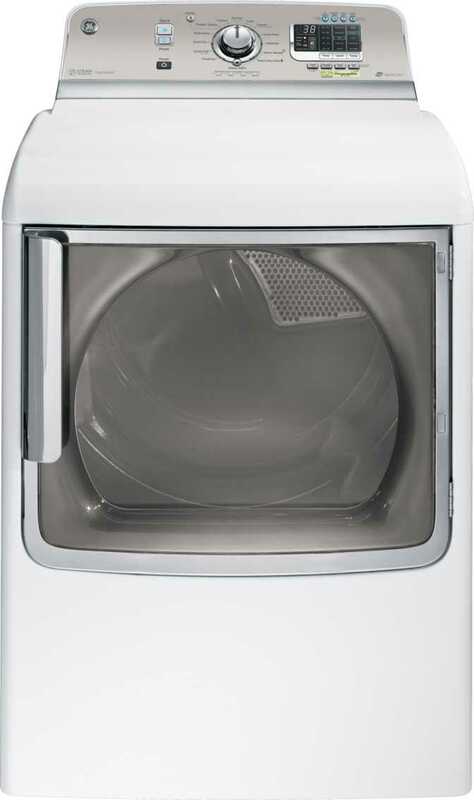 To make sure that your wet clothes get dry and you don’t waste energy, due to a too big drum size, your dryer’s capacity should be about twice of your washing machine’s capacity. The drums of washing machines are designed in a way so that the clothes rub against each other to get clean, whereas when drying, clothes need space to open up to get dried through the hot air. It is important to check the numbers, rather than go after terminology, like “extra-large” or “mega-capacity”. Compact dryers have around 3-5 kg (0.04-0.07 cu ft), which is usually enough for singles and couples, while very large dryers have a capacity of up to 9 kg (0.13 cu ft), which is suitable for bigger families. Compact dryers are generally slower and, in terms of energy efficiency, it is better to have a larger drum capacity than running the dryer several times, as long as you are able to fill the dryer every time. 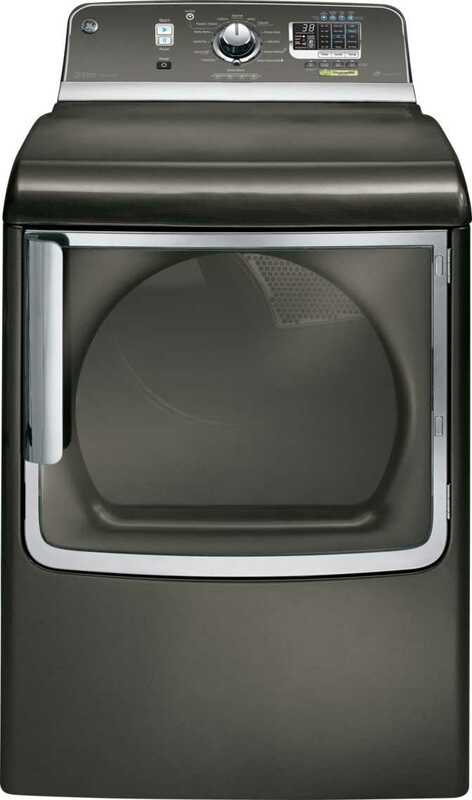 Dryers with a larger capacity are, for example, the LG DLEX7710VE, and the Maytag MEDB955FC. Some drying features of today’s dryers make a real difference and some are just nice extras to have, but greatly affect the price. So before buying a dryer it is important to know what you expect of your dryer. Almost all dryers provide a few of programs and settings, like temperature and spin speed settings or delicate drying. The spin speed, which can go up to 1600 rpm, is especially important when it comes to noise level. Faster spin speed often result in higher noise levels, therefore it is useful to be able to adjust the spin speed for cycles during the night or have a quiet device. Delay start option: This feature enables you to set the start of the machine’s drying cycle at a specific time, while sometimes there is a maximum of hours for a delayed start (Haier HD80-79). Extended Tumble: In case you are not able to take the laundry out as soon as it is done, you can use this feature, which extends intermittent tumbling for up to three more hours to reduce wrinkles. 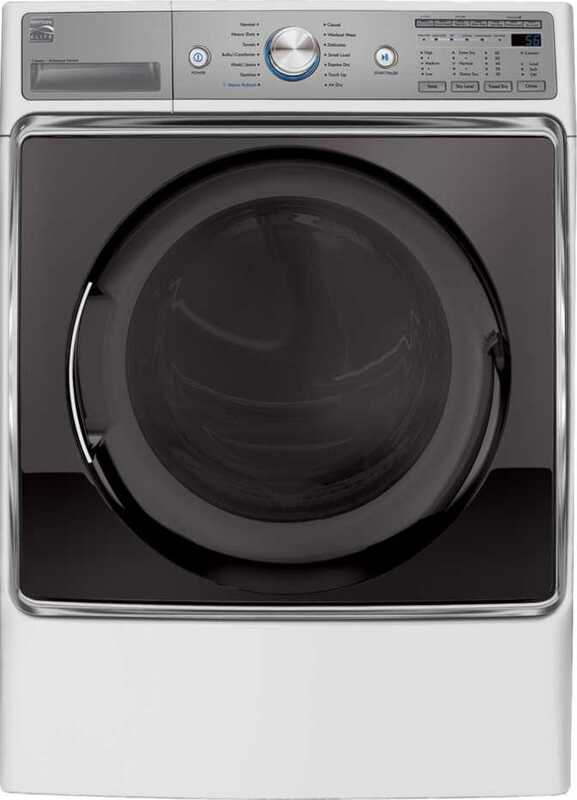 Two way tumbler: Many dryers have a two way tumbler, a drum which reverses the direction of tumbling during the cycle at regular intervals, in order to keep the clothes tangle-free while evenly drying them. Steam technology: Steam technology is another way to prevent wrinkles, as well as to remove odors and light stains from clothes, using evaporated water. Some steam cleaning cycles also enable you to sanitize items that are hard to wash, like children's toys or pillows (Electrolux EFMG617STT and Whirlpool WED8500DC). Antibacterial cycles: Some higher-end models provide a specific feature for additional sanitizing, like the Bosch WTG86402UC. Auto-finish / moisture sensors: An efficient way of saving energy and running costs is the auto-finish feature. Machines with auto-finish will switch off automatically when the laundry is dry, preventing over-drying and eliminating the risk of finding wet clothes (Electrolux EFMG617STT, Maytag MGDX655DW). 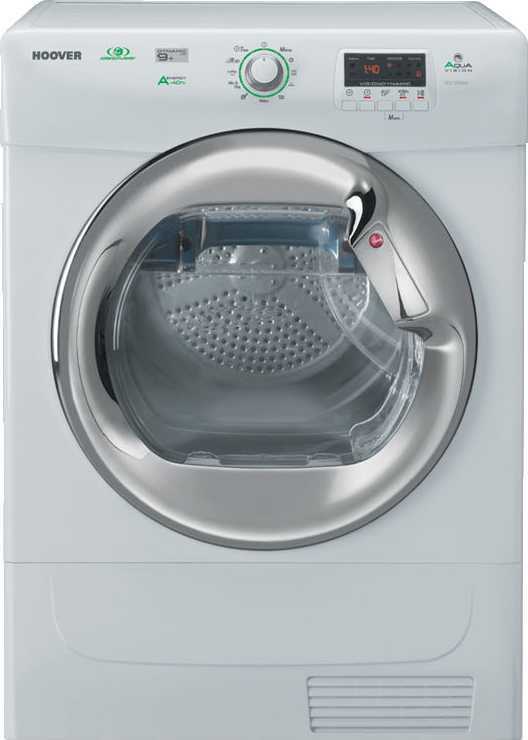 Sensor drying: Some machines have a sensor which enables them to calculate how much time is needed for drying, based on how wet and how heavy the clothes are, like the Whirlpool WED8500DC. Smartphones Diagnostic system: Some smart dryers, like the LG's Smart ThinQ, feature the capability of self-diagnosis and a guide for troubleshooting. Going one step further some can even automatically send detailed information to a customer service when there is an error, so they can answer and help you (Kenmore 61512). Smart grid awareness: A cool feature for saving some money is the smart grid awareness, allowing you to simply throw your wet laundry in the dryer and let it detect when, for example, overnight energy rates are at the lowest point, to start running the load. In addition you can even get a report from the dryer sent to your phone, showing you how much money you saved. Unfortunately this feature is not accessible in all areas. The power consumption and energy efficiency of dryers are very important factors, since dryers account for 10 percent or more of a household’s power consumption. Besides the useful energy saving programs, factors like the annual power consumption of the dryer, as well as the power consumption in standby mode are important to be considered. The average annual power consumption of tumble dryers is 329.85 kWh, ranging from 110 kWh to 1111 kWh, while the power consumption in standby can range from 0 W to 1.2 W. Devices that have a top energy efficiency are either Energy Star Certified, or have an energy efficiency rating of A++ or A+++. 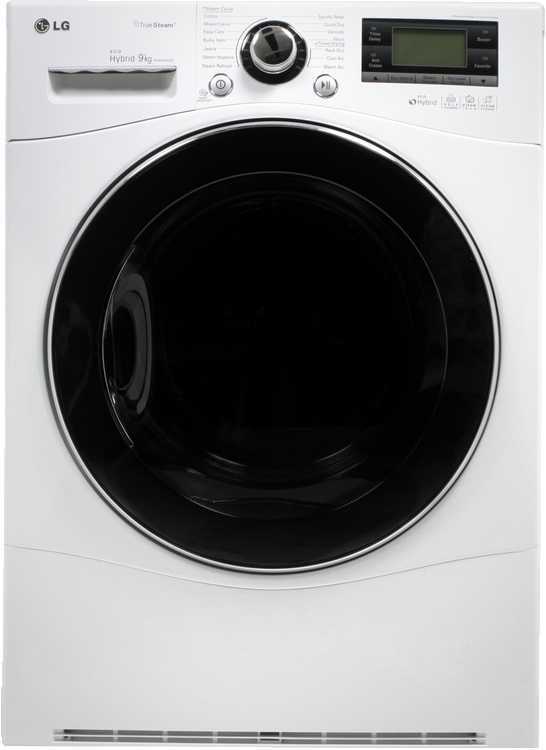 Tumble dryers that are energy efficient are, for example, the Samsung DV56H9000EW/A2 and the Whirlpool WED8700EC.